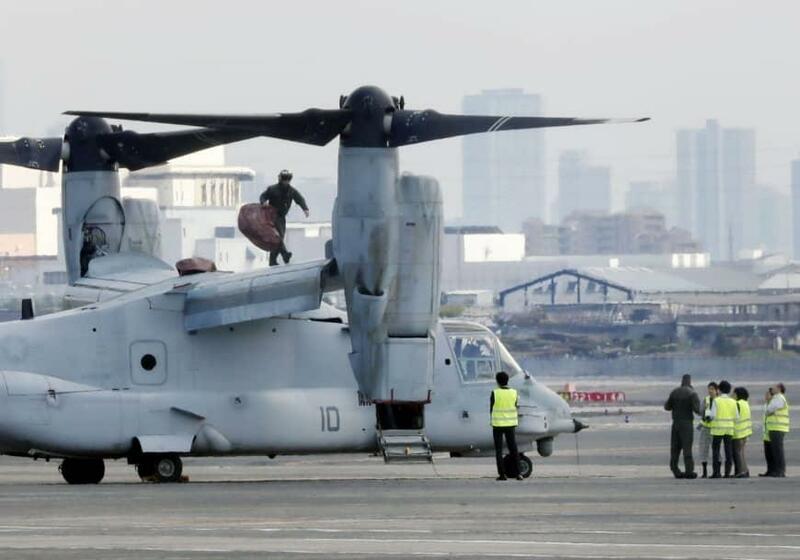 TOKYO, April 1 (Xinhua) -- A U.S. military Osprey aircraft made an emergency landing at Osaka International Airport in western Japan on Monday afternoon, the Japanese Defense Ministry said. The tilt-rotor aircraft was en route to Naval Air Facility Atsugi in Kanagawa Prefecture, south of Tokyo, from the Marine Corp Air Station Iwakuni in the western prefecture of Yamaguchi. According to officials from both the land ministry and the airport, also known as Itami Airport, the emergency landing has not affected commercial flights. The officials also said there have been no reports of injuries as a result of the emergency landing. The exact cause of the Osprey's emergency landing is still under investigation, the officials said. The accident-prone tilt-rotor aircraft, which can take off and land like a helicopter and fly like a fixed-winged plane, have concerned citizens across Japan due to its checkered safety history since its design phase. A U.S. Marine Corps MV-22 Osprey made an emergency landing in Japan's Oita Prefecture, on the eastern coast of Kyushu, in August 2017, while a similar plane made a crash-landing off Nago in Okinawa in December 2016. The turboprop plane was also involved in a fatal crash off the coast of Australia in August 2017 that killed three personnel aboard.